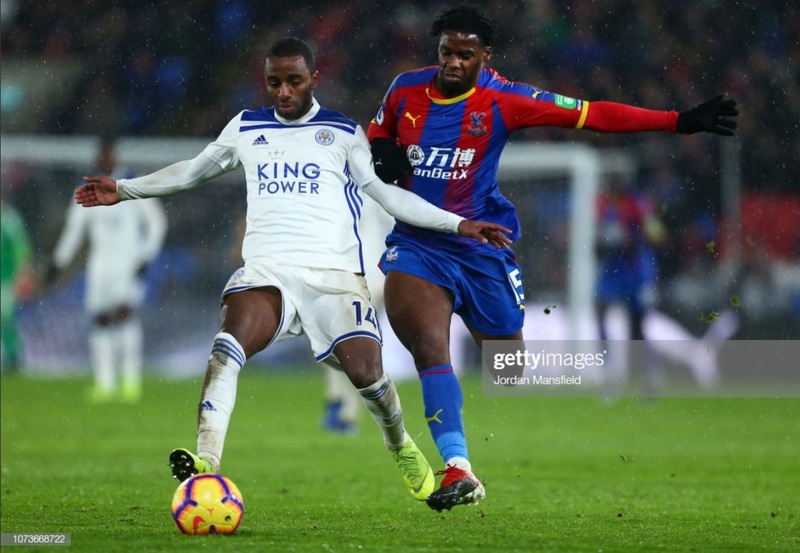 Leicester City vs Crystal Palace Preview: Eagles to continue winning run against hosts? Crystal Palace will look to take a huge step towards Premier League survival on Saturday evening as they take on Leicester City at the King Power Stadium. The Eagles have managed to hit form at just the right time and are undefeated in their last five games in all competitions. However, they do remain only three points above the drop zone so a victory in the East Midlands could prove pivotal. Leicester, meanwhile, have experienced an extreme drop-off in form in recent weeks and have fallen to 12th in the Premier League table. The Foxes have not won since New Year’s Day so victory could be extremely useful against the Eagles. Currently Palace’s top scorer this season, Luka Milivojevic has been key to the Eagles’ fortunes this season. The Serbian has netted seven goals in the Premier League so far this campaign, meaning he has been directly responsible for seven points. Without the midfielder, Roy Hodgon’s troops would be marooned in the relegation zone. Whilst he is a seasoned campaigner for Palace, Leicester will have a relatively new name in their midfield. After signing from AS Monaco, Youri Tielemans enjoyed a positive Foxes’ debut in the 3-1 loss to Tottenham Hotspur. He was key to the majority of Leicester’s play and also played a significant role in Jamie Vardy’s goal at Wembley. With both being key to their team’s attacking success, the man who is able to have the most influence could be pivotal in this clash. Speaking of Milivojevic, he proved to be the match-winner the last time the two teams met. Clashing at Selhurst Park back in December, the hosts once again needed a win to ease their relegation worries. The match was the first time that Palace were able to chalk-up a victory without Wilfried Zaha as Milivojevic scored the only goal of the game with a tremendous, curling strike from distance in the first-half. Claude Puel could have a few injury worries ahead of the visit of Palace. According to the Frenchman, James Maddison and Ben Chilwell have slight problems so will be subjected to late fitness tests. Daniel Amartey is on the road to recovery but is not expected to be seen until at least March, whilst Marc Albrighton is ruled out until at least the end of the season with a hamstring injury. However, Nampalys Mendy, who missed the clash against Tottenham, is ready to return to action. Elsewhere, Hodgson also has a handful of concerns heading to the East Midlands. Connor Wickham, Julian Speroni and Pape Souare are all still restricted to the sidelines. They are joined by defenders Aaron Wan-Bissaka and Martin Kelly who are out with a hamstring injury and muscle strain. In more positive news, Michy Batshuayi will be hoping to make his first Premier League start for the Eagles. Wilfried Zaha is able to return to action after serving suspension against Doncaster Rovers. Leicester City: Schmeichel; Fuchs, Maguire, Evans, Pereira; Ndidi, Mendy, Tielemans; Gray, Vardy, Barnes. Crystal Palace: Guaita; van Aanholt, Sakho, Tomkins, Ward; Schlupp, McArthur, Milivojevic, Townsend; Batshuayi, Zaha. Hodgson has highlighted how important the clash at the King Power Stadium could be in Palace's task to remain in the Premier League. Talking in his pre-match press conference, he said: "You know that any moment in time you can go on a run of three or four games and other teams will overtake you. The knowledge that this can happen to you and suddenly you hit a run of games that don’t go well for you stops us from ever being complacent. Foxes’ boss Puel has meanwhile praised his opposite number but insisted that he might not continue as long in the game as Hodgson. Talking ahead of this weekend’s game, the Frenchman said: “It is fantastic. I don’t know if I would like to manage a club at this age.